~7XW~ The most winning son that Ch. Honeybunch ROM ever produced. 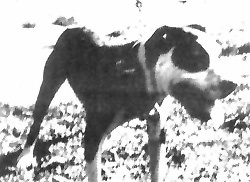 This was a truly great dog that was only bred 2 times before he died at age 3 and a half. An absolute Ace. Rarely seen in a pedigree.